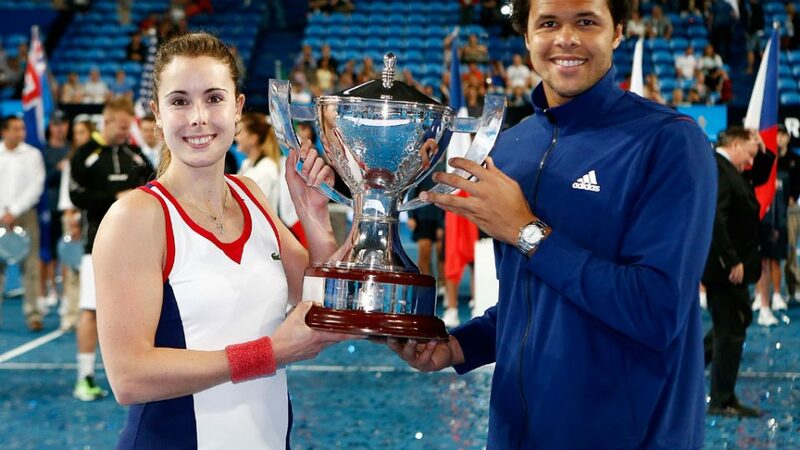 France wins its first ever Hopman Cup, defeating Poland 2-1 in a hard-fought final. *Marion Bartoli retired prior to the beginning of the tournament. She was replaced by Alize Cornet. **Jerzy Janowicz withdrew prior to the tournament with a foot injury. He was replaced by Gregorz Panfil. ***Tommy Robredo withdrew prior to the tournament with a right arm injury. He was replaced by Daniel Munoz-De La Nava. A.Radwanska (POL) d. F. Pennetta (ITA) 6-2 6-2. G. Panfil (POL) d. A. Seppi (ITA) 6-4 2-2 ret. A. Radwanska/G. Panfil d. F. Pennetta/O.Anderson 6-2 6-1.